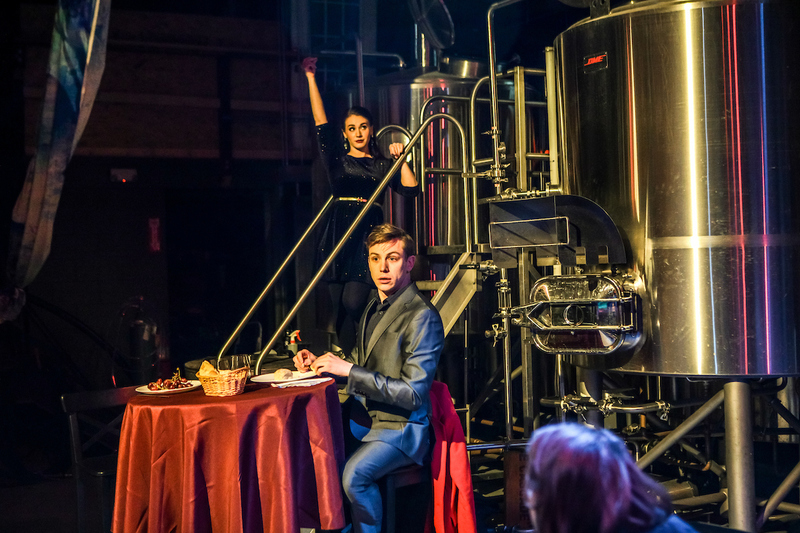 Audiences found themselves amidst fermentation vessels and set dressings alike this past Thursday at Turtle Swamp Brewing in Jamaica Plain for the opening night of Boston Opera Collaborative’s modern take on Puccini’s popular La Boheme. From Musetta’s waltz to the lovers’ duet, this timeless piece is a favorite amongst opera-lovers with melodies that ring in your ears and pulse through your heart long after they are over. Overall, this modern treatment was a valiant effort to reconceive this classic with a talented cast of young artists in an alternative space. Despite questionable musical and directorial choices, the astounding energy of these performers is what made this production a memorable one. 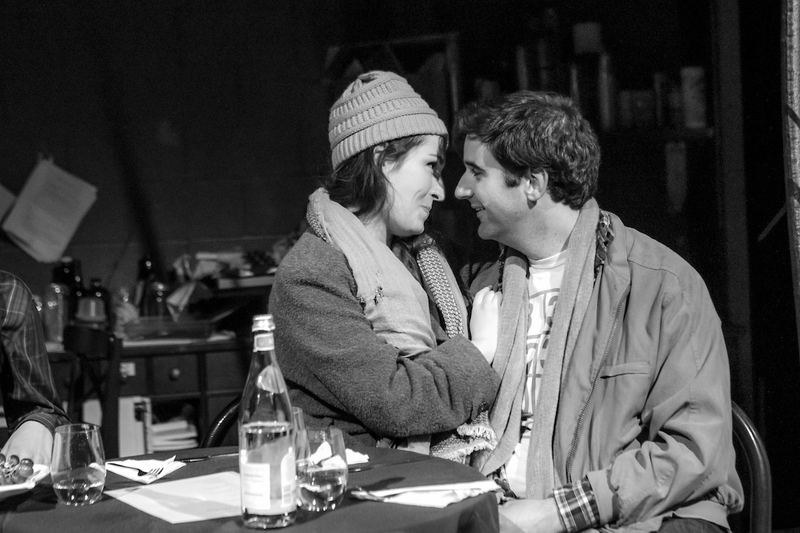 In a tale as old as time, La Boheme follows a pair of poor young lovers and their friends as they seek companionship in the dead of winter and freedom from one another in spring, only to be brought together by the bonds of passion and tragedy by its heartrending conclusion. The most frequently performed opera worldwide, La Boheme is familiar to opera-goers and newcomers alike. If any opera can be adapted without losing the integrity of youthful artistry, it is this one. The cast stepped up to the challenge of characters who countless opera superstars have championed, crafting performances that settled nicely in the intimate space. 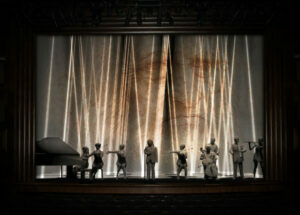 Creating a self-proclaimed “site-specific opera,” space was undoubtedly the primary concern of the creative team. 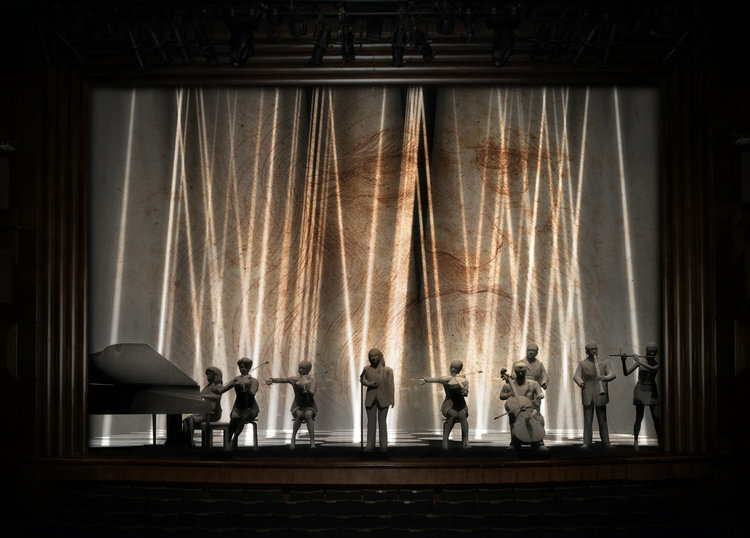 Known for his work with experimental theatre, BOC artistic director Greg Smucker was poised to create something fresh and innovative with this beloved masterpiece. Set in present-day Boston, the brewery transformed into a contemporary flat with large curtains splattered with paint masking the large conditioning tanks of the brewery. The space is clearly an homage to the Bohemian spirit of youthful resourcefulness and grit. While it does not lend itself to the bombastic theatricality of Act II’s chorus scenes or the dramatic orchestral climaxes of the ensemble numbers, it provides a powerful intimacy to the love story as the tragedy unfolds before us. While an unconventional venue for an opera of this size, Smucker’s production is not unheard of in the realm of new wave opera directors. 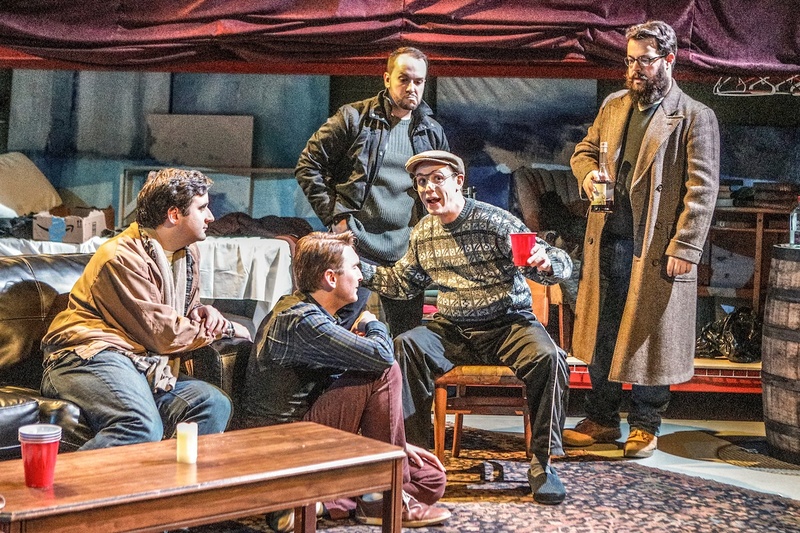 Taking its cue from operaUpClose’s infamous 2009 production of Puccini’s classic in a North West London pub, the Boston Opera Collaborative seeks to achieve the same edgy popularity. While operaUpClose took home the Best New Opera award from the Olivers that year, an updated production staged at a brewery offers its own risks nonetheless. 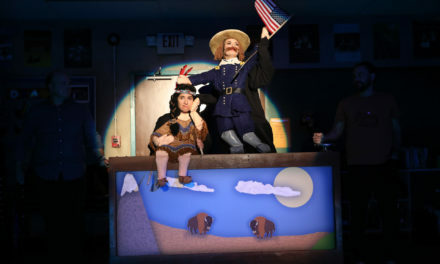 Before the show began, Smucker warned the audience of 60 to anticipate “a few noises you wouldn’t normally hear in a theatre.” Cue the constant hum of something-or-other that became part of the bizarre soundtrack of the production. The sparse seven-piece orchestra was an underwhelming mismatch to Puccini’s lush score, its intricacies often lost in the small ensemble, but not for lack of trying. This was especially felt in Rodolfo’s famous aria “Che gelida manina,” when a piano reduction replaced the sweeping strings. Yet this did not faze tenor Francis Rogers, who shone as the lovesick poet Rodolfo. A delightfully cutting tone paired with attentive phrasing filled the space without overwhelming the listener. 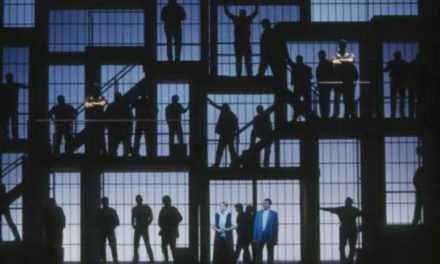 Smucker remarked that he wanted the audience to “see the eyes and the faces of the singer-actors.” While Rogers’ expression sometimes did not match the fervor of his voice in solos and duets, he came alive in the scenes with Marcello (Andrew Miller,) Colline (Seth Grondin,) and Schaunard (Mitch FitzDaniel.) 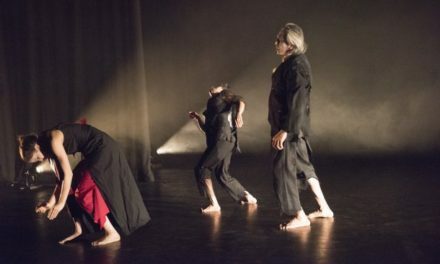 This well-characterized quartet with delightful chemistry imbibed a youthful energy to the starving artists, even engaging in a pantomimed lightsaber battle at the top of the fourth act. Despite overpowering Celeste Godin’s floating soprano in Act III’s “Addio” duet, Rogers’ rendition of the painful final cries lifted the audience from their seats, beers held precariously in hand. 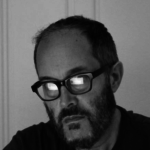 A few changes were made to Luigi Illica and Giuseppe Giacosa’s libretto to include references to local Boston, such as “the smell of empanadas in the streets of Jamaica Plain” rather than the perfume of fritters in the Latin Quarter. Mercifully, Colline did not exchange his coat for a Bruins jersey and no Red Sox cap was to be found in the garret, though the “feast of plenty” did consist of Cheese Nips and Oreos. 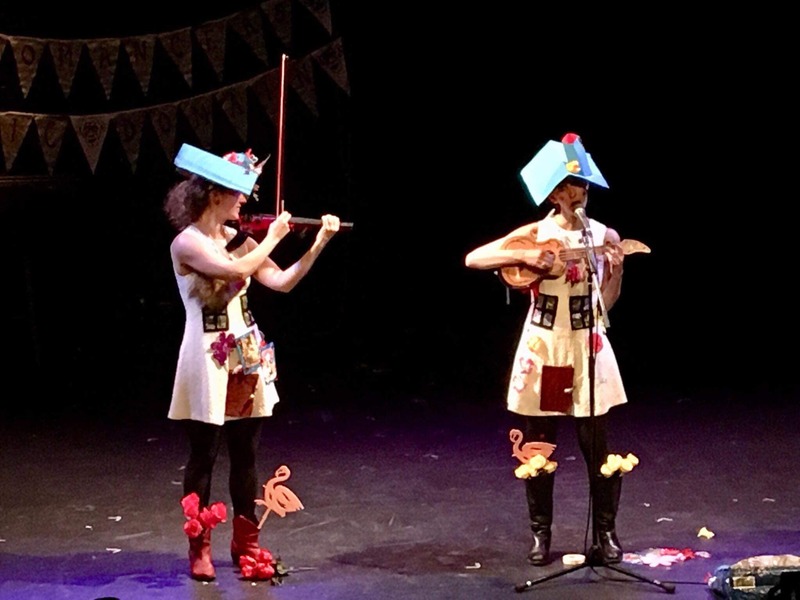 Act II found the audience on stage as part of the rambunctious Café Mamus, though it is meant to be understood as Turtle Swamp itself. The chorus of seven weaved through the tables, platters and wine in hand. The sparse ensemble and the immersion into the crowd swallowed and splintered the sound, losing the grandiosity of the scene. The chorus was the most unrealized aspect of the production, the characters unspecific apart from the vendor Parpignol (dressed as Santa Claus) and the children’s chorus was sorely missed. Carina DiGianfilippo commanded the stage as the flirtatious Musetta, hamming up her performance of the opera’s most famous aria “Quando m’en vo’” with comedic physicality. Basking in the energy of an adoring audience and well-lit by designer David Orlando, DiGianfilippo was a vision. Celeste Godin was sublime as the humble, ill-fated Mimi. Singing every phrase with remarkable control, particularly in her high tessatura, Godin had the perfect voice for the space. While she sometimes got lost in the larger ensemble pieces, she never faltered in her graceful portrayal of this iconic role. 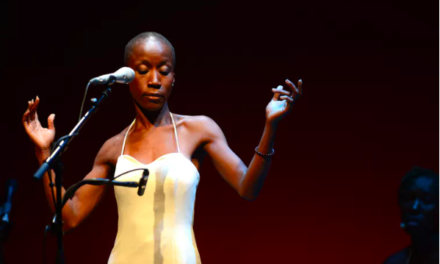 She infused every word with character, developing a shy dreamer who had the audience sighing with each reprisal of “Si, mi chiamano Mimi,” leaning in until her dying breath. 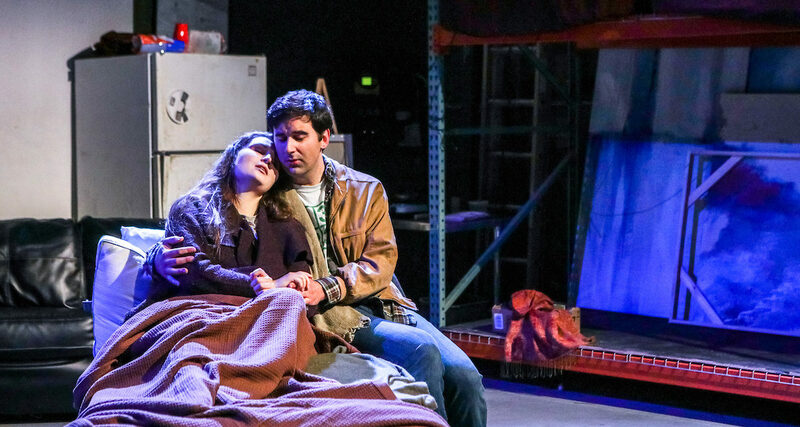 Intimate and full of heart, Boston Opera Collaborative’s updated production of La Boheme did its best with a paired down version of Puccini’s masterpiece but was felt the most in its principle cast of young people seeking friendship and love. It runs April 12th through the 22nd, with a different cast on alternate days. The New England Opera Club would like to print this review in its June newsletter – I hope that’s OK!